Short film Is This Fun? is part of the RunNation Film Festival, which will come to Hong Kong for the first time on December 9. John Ellis said explaining ultra running to a regular person is hard – hence the question about how running incredibly long distances can somehow be enjoyable. 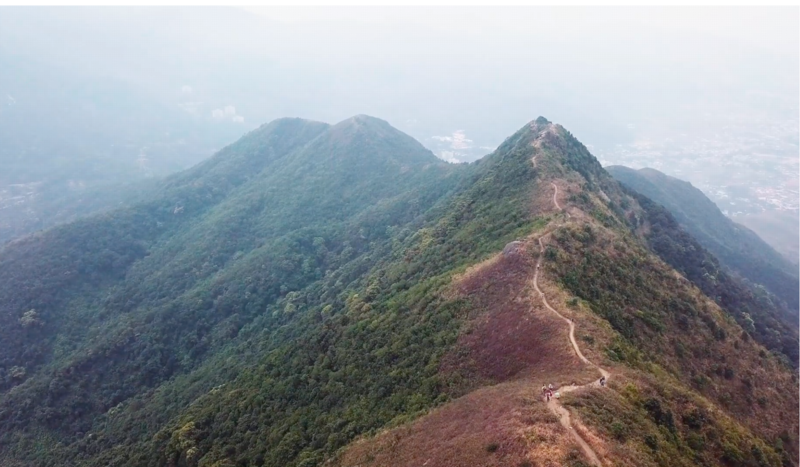 Ellis, featured in Robin Lee’s short film Is This Fun?, which follows two runners through the 9 Dragons Ultra race in Hong Kong, uses a philosophically historical image to describe the depths a runner must go to to carry on through adversity. The 9 Dragons features two separate runs over two days spanning more than 140 kilometres and close to 9,000 metres of elevation gain. “A cave is the perfect analogy,” said Ellis when talking about the mental and physical stamina an ultra runner must have to be successful. Plato’s Allegory of the Cave is a famous theory about the nature of knowledge and how perception can be deceiving. Ellis said his personal cave is one of shutting everything out through pushing the body and mind to its utmost limits. Ellis’ race and ruminations are featured alongside fellow Hongkonger Jo Kway in the eight-minute film, chronicling why runners seem to be slightly masochistic. In fact, Ellis, who is also the director of the Gone Running store in Wan Chai, said all that pain and suffering are actually stress relievers. “Life is just so damn hectic, especially in Hong Kong, where there are a million different distractions everyday. It’s easy to forget what’s important and to get pushed down meaningless tangents in life. The RunNation Film Festival, which is entering its fifth season, is hitting Hong Kong for the first time and features nine films in total, all running-related. The December 9 event will also feature three speakers after the films. Ellis called the 9 Dragons a “sufferfest”, and he said the emotions got the best of him after he completed the second leg when he saw his family after emerging from his cave. All of which is chronicled in Is This Fun? “I saw my amazing family, Elaine and Max, waiting expectantly at the finish line, after all that time in my pain cave, more and more realising how special they were to me, and the waterworks just started. It was happy relief, slightly embarrassing and very wonderful, all at the same time.